AutoCAD 2012 Service Pack 2 is available now. 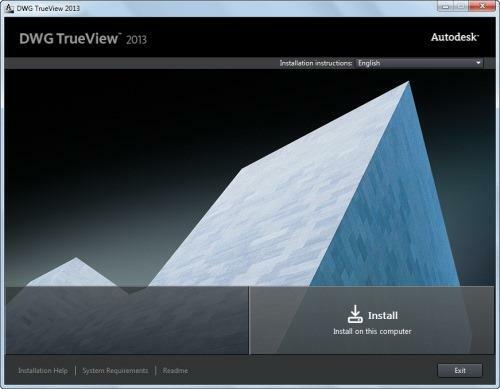 You can apply this update to AutoCAD 2012 running on all supported operating systems and languages. Consult the readme file for installation instructions and be sure to install the correct update (32-bit or 64-bit) for your software and operating system. The AutoCAD 2012 and AutoCAD LT 2012 Service Pack 2 Readme has not yet been updated to include what updates and bug fixes SP2 includes. UPDATE: See details further down. This is one way to verify that AutoCAD 2012 SP 2 is installed. Another way is to run the ABOUT command and it will say Product Version: F.205.0.0, AutoCAD 2012 – English SP2. AutoCAD may become unstable after switching between a 3D Viewport to a 2D Viewport. "Keep Scene Upright" in 3DConnexion Settings dialog cannot be changed. Unknown command "SPACEMOUSEACTION" and device is not working when using 3DConnexion device. AutoCAD may become unstable after using SAVEAS on some drawings that have been run through recover. MTEXT column width can collapse to zero when XREF is bound to the parent drawing. Annotative MTEXT column width can collapse to zero when drawing is saved and reopened. AutoCAD may become unstable when using the ARRAYCLASSIC dialog with solid entities selected and clicking on the preview button. On a 32bit Operating system using the ARRAYCLASSIC command preview with a large number of items selected, you may get a warning "Too many objects would be created." On a 32bit Operating system using the ARRAYCLASSIC command you may encounter objects on locked layers being removed without a warning dialog. Array blocks may not display when attached as an XREF. AutoCAD may become unstable when drawings contain loft surface on different layers and saved to older drawing versions such as 2004. The AutoCAD options paths may become shortened when the Inventor Fusion Plugin is installed. Autoloader fails to load a modified CUIx file. ACFusion.cuix keeps getting added back to AutoCAD even when unloaded. AutoCAD may take a long time when inserting an external block that contains a large number of layer filters. Dynamic Blocks may not be updated when the Property Palette is visible. AutoCAD may become unstable after changing the view during ARRAYCLASSIC or Hatch preview. Context menus are different based on how you have loaded the Main and Enterprise menu. DGN linetypes may display inconsistently. Imported text of a dimension in a DGN file is not submitted to the dimension style. When using COPYCLIP and PASTECLIP on a 64bit Operating System, you may see the object color change from the original color. AutoCAD may become unstable when autosave runs with an attached PDF file that is an extremely small scale. AutoCAD may become unstable when using commands that modify one of the dimensions with the cyclic dependency. AutoCAD may become unstable when using the EXPORTLAYOUT command. DGN files ½become scaled by a factor of 1/12 after an xref bind. Field for viewport scale is displayed as "Custom" on opening legacy files such as AutoCAD 2009. AutoCAD may become unstable when grip editing a PLINE with the Properties Palette open. Error message appears in command line after renaming the layout tab when sheet set manager is opened. The landing on mleaders can change unexpectedly when certain LISP routines are run. AutoCAD may become unstable when using Check Standards on drawings with leaders. 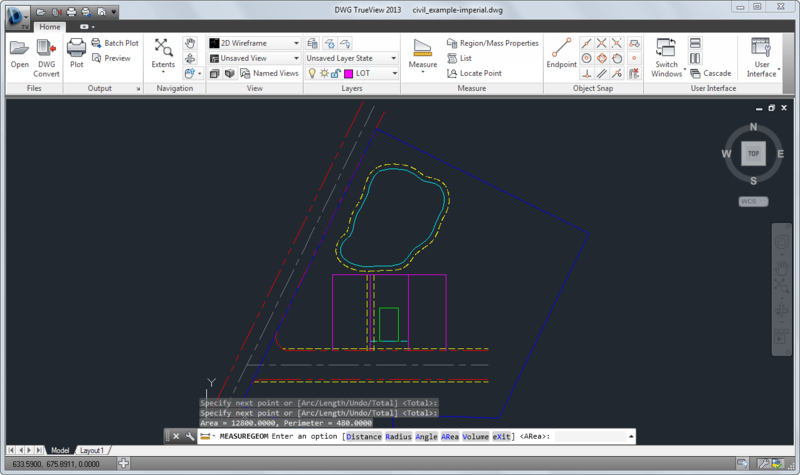 Temporary IDW files with "dwg.tmp" extension are created when a file with model documentation drawing views from AutoCAD 2013 is opened in AutoCAD 2012. 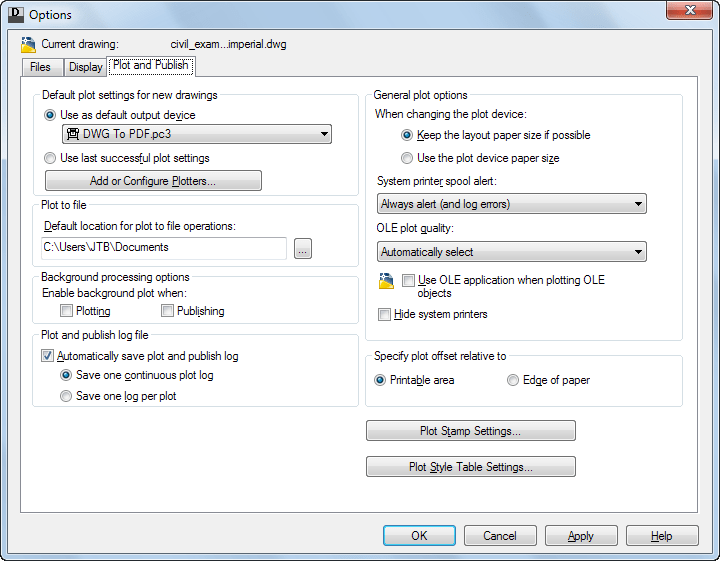 AutoCAD may become unstable after clicking the Publish button for drawings with AutoCAD 2013-created drawing views. AutoCAD LT may become unstable when setting the Mtext direction to vertical in the Property Palette. AutoCAD may become unstable when using OLE to copy and paste Excel content. The final value for the line is using the total length instead of stretch/extension. When using Osnap, then selecting a line with a grip, then stretching by entering an exact distance may not yield the expected length. AutoCAD may become unstable when opening drawings with possible corrupt array entities. With DUCS turned on, the cursor may have been freezing after closing the block editor. CTB, STB, PC3 and PMP files may not have been added to etransmit list when additional plot search paths were added. AutoCAD may become unstable when publishing to DWF. AutoCAD may become unstable when exiting on Microsoft Windows 8. AutoCAD may become unstable when copying large selection sets. AutoCAD may become unstable when working with joined splines. You may notice high network utilization with SMB V2 (Server Message Block) while working with the sheet set manger. AutoCAD may not start if the Operating System path is not able to be found. When editing an Excel Data Links not all the information is displayed. Customized Tooltips fail to be aligned by rows. On a 64bit Operating system with VBA loaded, you may not be able to restore AutoCAD after minimizing it. Visual Styles may become lost when saving back to a previous drawing version such as AutoCAD 2007 file format. This post should cover all you need to know about FlexNet/FLEXlm ports being used by vendors like Autodesk. The first lines in an FlexNet license file look like this. LABSERVER is the host name of the server where the Network License Manager resides. 03D054C0149B is the Ethernet address/Host ID of the server where the Network License Manager resides. adskflex is the name of the server-side vendor daemon. In this case Autodesk’s. 2080 is in this example the network port number reserved and assigned for use only by Autodesk products running the Autodesk vendor daemon. Normally there is no need to change this port. The port lmgrd.exe uses can optionally be changed. It’s good practice to specify the port for the vendor daemon in the license file. Specifying a port for each vendor if multiple vendors exists on the license server will help to avoid conflicts if the license server is restarted. To keep the port fixed helps if you want to report on it using lmutil.exe or the license report solution JTB FlexReport. If you have a firewall between the license server(s) and the client computers, you need to open some TCP/IP ports on the server for license-related communication. Open port 2080 for adskflex, and open ports 27000 through 27009 for lmgrd. If these port addresses are restricted by a router or firewall software, users on the remote side of the router will not have access to licenses controlled by the Network License Manager. The Autodesk Network License Manager needs unrestricted access to the two TCP ports used. Ping Firewall rule called "File and Printer Sharing (Echo Request - ICMPv4-In)" might need to be enabled. When you set up clients to find network licenses it is good practice to include the port otherwise all ports between 27000 and 27009 will be tested until the license server is found and if you have many license servers this can take some time. FlexNet debug log can be used to find out what the License Manager and vendor daemon ports being used are. More about Autodesk Network License Manager can be found here and if you want a solution to report on the license usage JTB FlexReport will help. OsnapzBG is a background color changer app that now also supports AutoCAD 2013 and is now also available as AutoCAD app on Autodesk Exchange Apps site making installation easy and having it show up on the Ribbon Plug-ins tab. This also gives quick access to easily set OSNAPZ on or off. OSNAPZ set to 1 (on) makes anything you snap to only use the current elevation as z value. OSNAPZ controls whether object snaps are automatically projected onto a plane parallel to the XY plane of the current UCS at the current elevation. FlexNet License Server Manager version 11.9.1 and others earlier have a bug in lmgrd that can cause a stack overflow. smaller than the needeed bytes. … lmadmin is not affected.” Ref. lmgrd advisory that was made public 13 May 2012 by Luigi Auriemma but found already back in 26 Oct 2010. Recommendation is to make sure to use the latest lmgrd.exe that comes with FlexNet Version 11.10.1 or at least a version newer than 11.9.1. To monitor and report on usage of FlexNet based applications use JTB FlexReport. The LAYERSTATESAVE command was added to AutoCAD 2010 but has since then been an undocumented AutoCAD command. Use it to quickly save a new layer state or replace an existing layer state. Here is what the online help says and also if you click on help in the dialog box, but no mention of the actual command name. Specifies a name and a description for the layer state defined in the Layer States Manager. 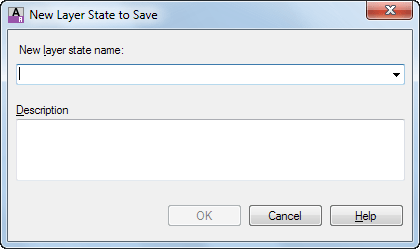 New Layer State Name: Specifies a name for the new layer state to be saved. Description: (Optional) Provides a description of the layer state that is displayed in the Layer States Manager. This New Layer State to Save dialog is also available in the Layer Walk feature. Just click the "Save Layer State…" option in the right-click context menu. Autodesk Customer Care on Twitter started last year and now it’s time for AutodeskCare - The AutodeskCare Customer Service Blog. 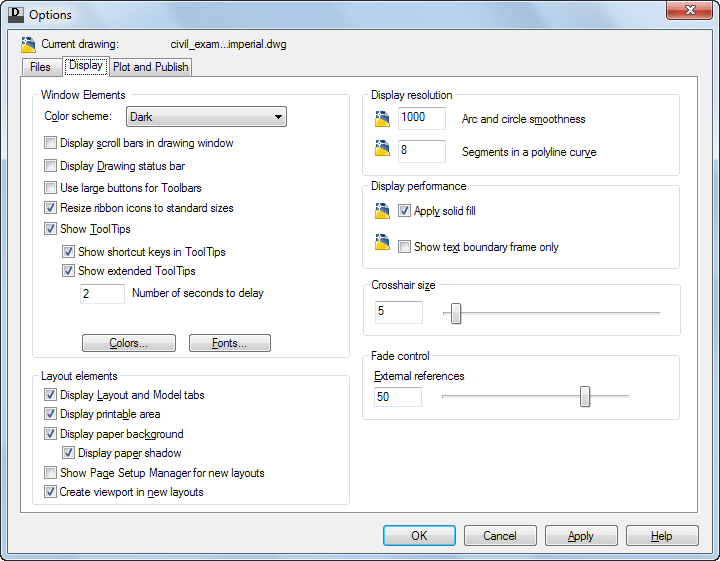 Through the Interface - Kean Walmsley's AutoCAD developer blog. The Building Coder - Jeremy Tammik's Revit developer blog. Mod the Machine - Brian Ekins' and Wayne Brill's Inventor developer blog. Civilized Development - Isaac Rodriguez's AutoCAD Civil 3D developer blog. Its All Just Ones and Zeros - Doug Redmond's Vault developer blog. Dancing with Elephants - Jim Quanci's blog on partnering with large companies. For the latest updates on the type of support you can get from Autodesk visit www.autodesk.com/support and specifically http://usa.autodesk.com/support-offerings/. The new terms are Effective May 7, 2012. Speaking of Autodesk there are also price changes: Upgrade now to help protect your software investment, and help maximize your return with the many benefits offered through Autodesk® Subscription and Autodesk® 360 cloud-based services. Autodesk currently anticipates changes to its upgrade options next year, so take advantage of existing upgrade pricing and paths today to move to the current release—and you could additionally save up to 20%* off SRP when you act before July 13, 2012. If you have Autodesk 2007 products or older they cannot next year be upgraded but you need to purchase a complete new license at full price. Autodesk® Enterprise Priority Support is only available to Autodesk Subscription customers. It is a comprehensive program of proactive support services designed to meet the needs of direct, large enterprise customers who use Autodesk software on complex multisite projects. 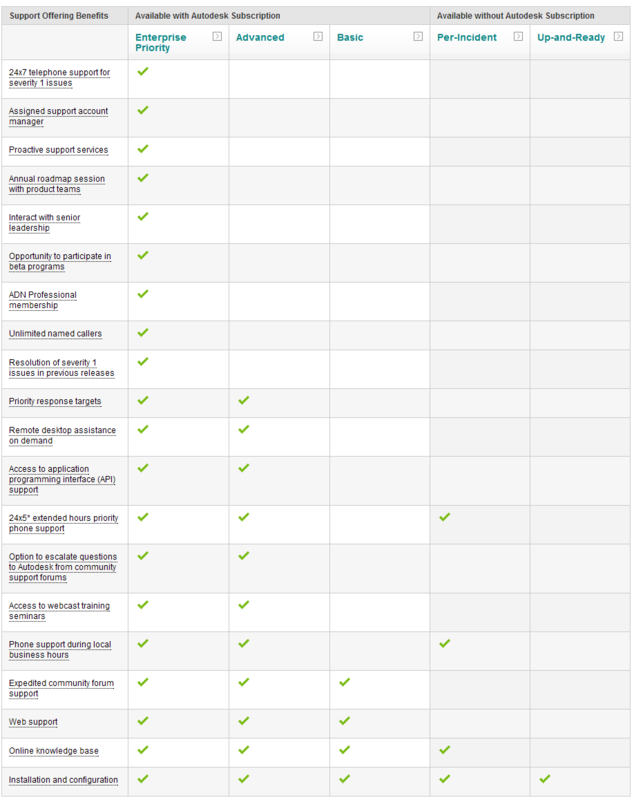 Enterprise Priority Support is the highest level of support that Autodesk offers. Autodesk Enterprise Priority Support is available for purchase only if you have an Autodesk Subscription and is only available direct from Autodesk. Autodesk Per-Incident Support and Up-and-Ready Support is available without Autodesk Subscription. DimNotes has been updated to support AutoCAD 2013 and verticals and is also available as an AutoCAD app so it is easy to install and will show up on the Plug-ins Ribbon tab in both AutoCAD 2013 and AutoCAD 2012. With DimNotes you can quickly add predefined dimension notes to dimension objects in AutoCAD. The note can be added to different locations, before as prefix, after as suffix, above and below existing dimension text. Visit DimNotes for free trial, download and documentation. TimberTool has been updated to work with AutoCAD Architecture 2013 and AutoCAD MEP 2013. For AutoCAD Architecture 2013 you can download TimberTool as an AutoCAD app. This tool overcomes the problem when extruding a mass element using ExtrudeLinework where the bounding box width and depth is not correct. Here are updated system variables in AutoCAD 2013 and how they have been changed. 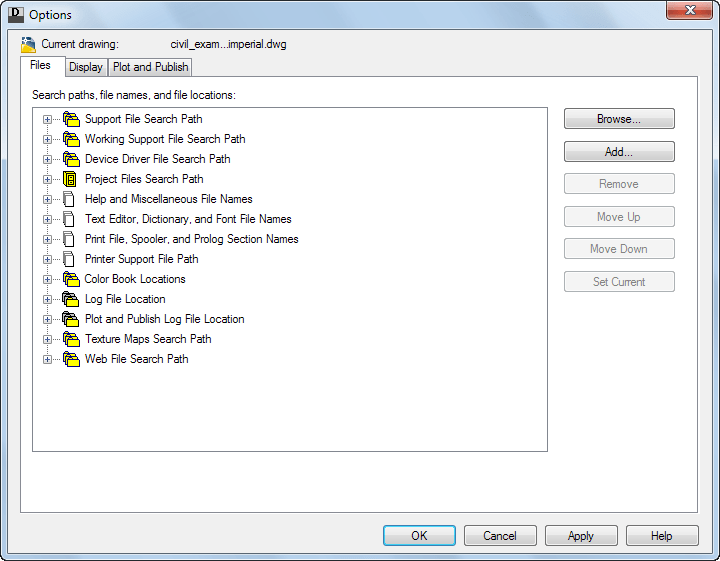 Here is a list of updated commands in AutoCAD 2013 and how they are changed. Any more commands you found have been updated? The updated FlexNet (FLEXlm) version (based on Flexera Software’s FlexNet Publisher Licensing Toolkit 11.10.1) was released in February 2012 but first now available for public download as well as the updated License Administration Guide. lmgrd.exe version is 11.10.1 and lmutil.exe version is 11.10.1 while lmtools.exe is still version 11.10. I tested to use the new lmgrd.exe version with my Autodesk network licenses but when starting the service I get this error below and no log file created. Eventually I found that I had used the 32-bit version of lmgrd.exe while it was the 64-bit version that should have been used. JTB FlexReport license monitoring tool has been tested with and support this new version. Instructions on how to Update FlexNet from a Previous Version. SSMPropEditor (Sheet Set Manager Properties Editor) is now available as an AutoCAD app on Autodesk Exchange Apps site both as a trial and to purchase. When SSMPropEditor as AutoCAD app (or AutoCAD plug-in) has been used for installation the application will automatically load in AutoCAD and also add the SSMPropEditor panel to the Ribbon tab Plug-ins. In AutoCAD 2013 if a drawing has an associated sheet set it will be opened in SSMPropEditor and if pressing F1 while hovering over the icon on the Ribbon the help file is opened. Commands defined for AutoCAD are SSMPropEditor (starts the application), SSMPropEditorAppShortcuts (will create shortcut to the program in the Windows Start menu or on the desktop) and SSMPropEditorHelp (opens the local help file). In AutoCAD 2013 I have found these 40 new system variables. At first I found SPLINEREVERSEWIDTHS but now I’m not sure where it came from. Maybe mixed up with PLINEREVERSEWIDTHS. Have you found any more?